England recalled batsman Jos Buttler in a 12-man squad announced Tuesday for the first Test against Pakistan at Lord’s on May 24. In the first England squad since former Test batsman Ed Smith took over as national selector, Somerset off-spinner Dom Bess was given a first call-up. But, after England’s tour series losses in Australia and New Zealand, top-order batsman James Vince was dropped after a run of low scores at Test level despite the Hampshire batsman making an unbeaten 201 against Somerset on Monday. 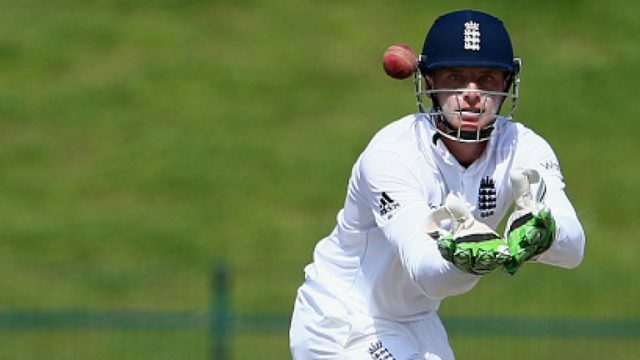 Having made an impact at international level as a wicket-keeper/batsman, Buttler has been selected for the first of a two-Test series against Pakistan purely as a batsman. Jonny Bairstow, who succeeded Buttler as England’s Test keeper, has retained his place behind the stumps having become a mainstay of skipper Joe Root’s side with both bat and gloves. Buttler is currently playing for the Rajasthan Royals in the Twenty20 Indian Premier League, where his last three scores have been 95, 94 and 81. “Jos Buttler is an outstanding talent, who is already a central part of England’s white ball teams,” said Smith in an England and Wales Cricket Board statement. “The selection panel feels that this is the perfect moment to reintroduce Jos to Test cricket, where he has already enjoyed some success, including a stint playing as a specialist batsman at number seven. Bess, 20, has played just 16 first-class matches, having made his debut for Somerset against Pakistan at Taunton in 2016. An injury to Somerset team-mate Jack Leach has paved the way for Bess’s inclusion as the lone specialist spinner in a squad after England decided against recalling Moeen Ali. “Dom Bess has made an excellent start to his first-class career,” said Smith. “With Jack Leach missing out due to injury, the selection panel wanted to invest opportunity in a young spin bowler.